Our retaining walls are designed to withstand the test of time. 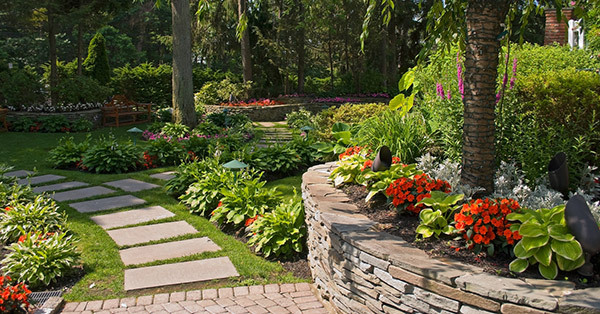 We have expert knowledge of all forms of retaining wall construction. Choose from a variety of materials ranging from basalt boulders, pre-cast concrete, poured concrete or wood construction. Though most retaining walls are built out of necessity, we can make yours something that you can truly be proud of. We are experienced retaining wall contractors in Eugene and have designed and constructed a variety of retaining walls using the material below. If you have any questions or concerns about retaining wall cost, or materials used contact us today! You will want your new wall to last a long time. For this to happen it must be constructed properly. A properly installed wall can create variety and take full advantage of changes in grade. Built correctly, they last for many decades and beyond. As you shop around, we invite you to look closely at the details. Don’t presume that all contractors build walls the same. They don’t. The face of basalt retaining walls must be fairly flat which helps it remain stable. Walls over 12″ tall must have a gravel base and gravel backfill so water can drain properly. Evaluate for aesthetics. Does the size and placement of the rocks please the eye? We are the leading Eugene Retaining Wall company. Contact us if you have any questions regarding:. We can construct retaining walls with the following material options. For a short, small wall consider using smaller stone so that it is to scale. If the contour of your slope varies, select rock over block for your wall. Stone comes in all sizes and shapes which easily lends to a varying topography whereas blocks are always uniform. If you prefer a natural stone wall but need somewhat uniform pieces, rectangular basalt known as “squares and recs” or “A-split” works well. Free standing walls can be filled with soil mix to make beautiful and natural planters. A free-standing wall can also add a measure of privacy and intimacy. 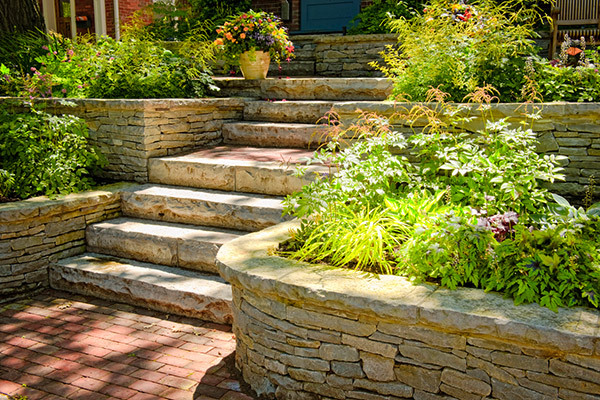 Retaining walls and natural stone steps go together perfectly. Concrete blocks are available in various shapes and colors.